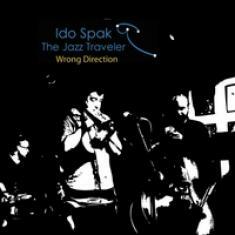 It takes one not to know one thing: Ido Spak The Jazz Traveler is most definitely not your average musical act. Spak has a distinctive flavor to his music, and his approach to melody and soundscaping is absolutely one-of-a-kind. His most recent studio release, Wrong Direction, is an amazing example of what I am talking about, and it's truly wonderful to hear what great lengths the music can take you as a listener. Spak's piano playing is absolutely stunning. As a master of jazz fusion, Spak is never afraid to challenge himself and push the boundaries of his imagination. Every phrase is an adventure, and you never know where it is going to lead you until it takes you there. Wrong Direction shows you that there is no wrong direction in music; it is really all about taking the right chances and never compromising in terms of creativity, vision and ultimately, passion.